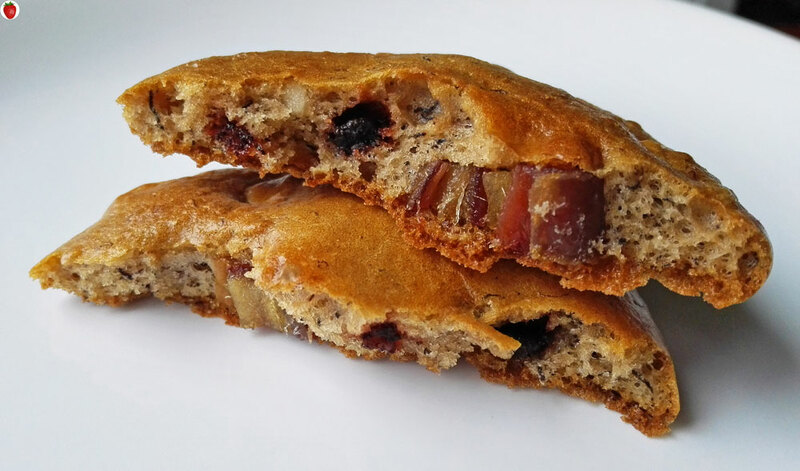 Here’s a delicious and easy-to-make paleo banana cookie recipe. 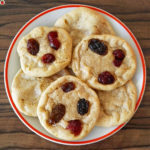 These cookies are super tasty and their texture is similar to that of sponge cake. I used egg yolks for this recipe, but you can use a whole egg instead, it will work just as well. 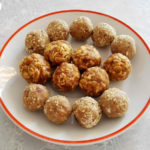 The reason why I like to make these cookies using egg yolks is that I always have some egg yolks after I make my coconut macaroons, and I don’t know what to do with them. 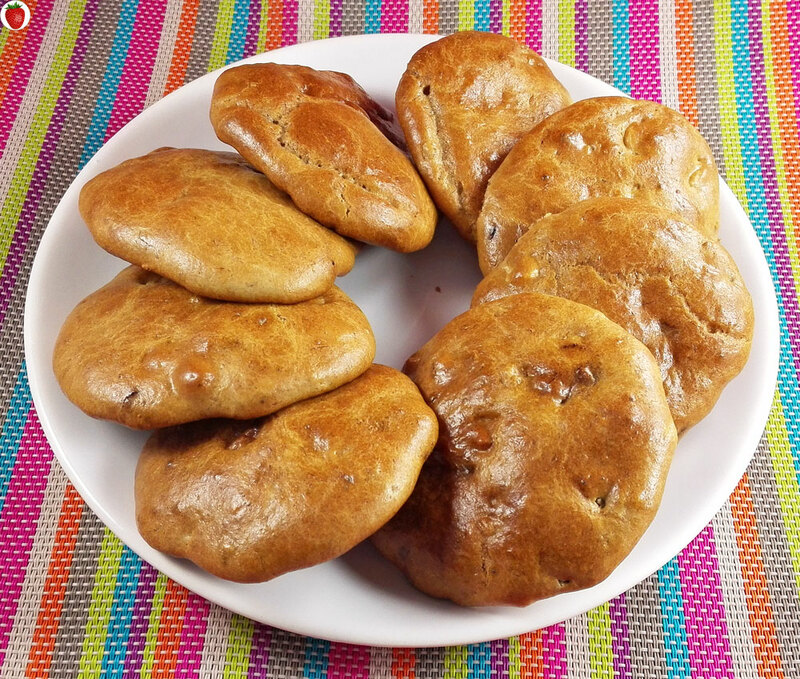 If you don’t like bananas, check out my low-carb version of these delicious cookies. This recipe makes about 8 cookies that are quite big and satisfying. Preheat your oven to 170°C (325°F). Beat the egg yolks, mash the banana, and mix them together. Add the tahini and baking powder and mix everything well. 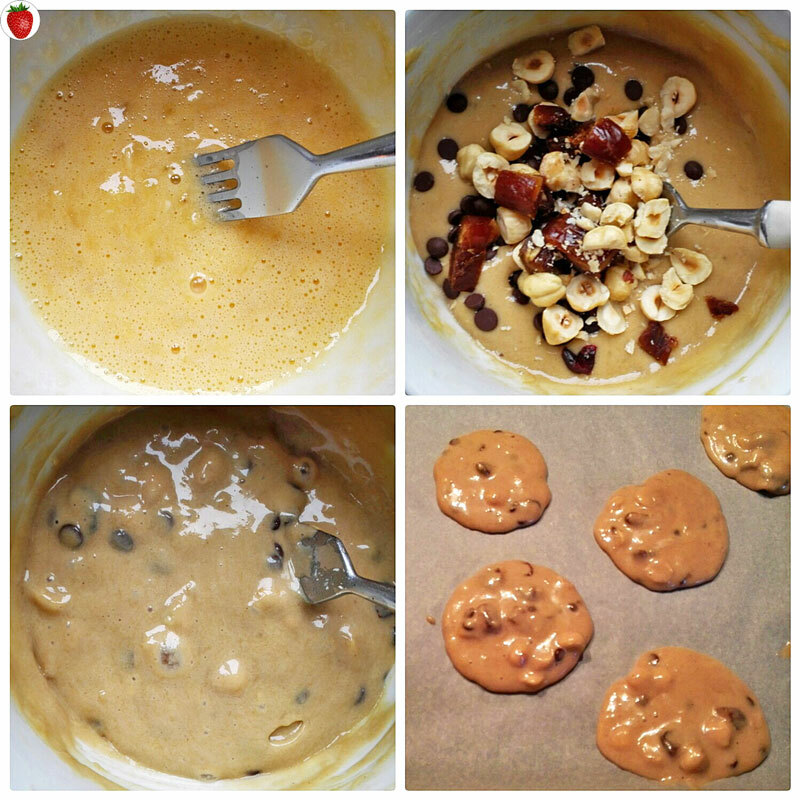 Optionally, add chocolate chips, chopped nuts or dried fruit and mix again. 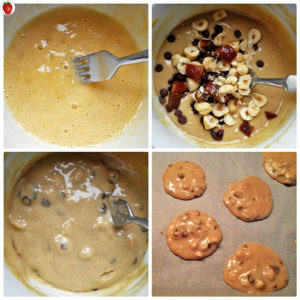 Pour spoonfuls of the mixture onto a baking tray covered with baking paper. Leave enough space between them, because they spread a lot. Bake for 8-10 minutes and keep an eye on them. 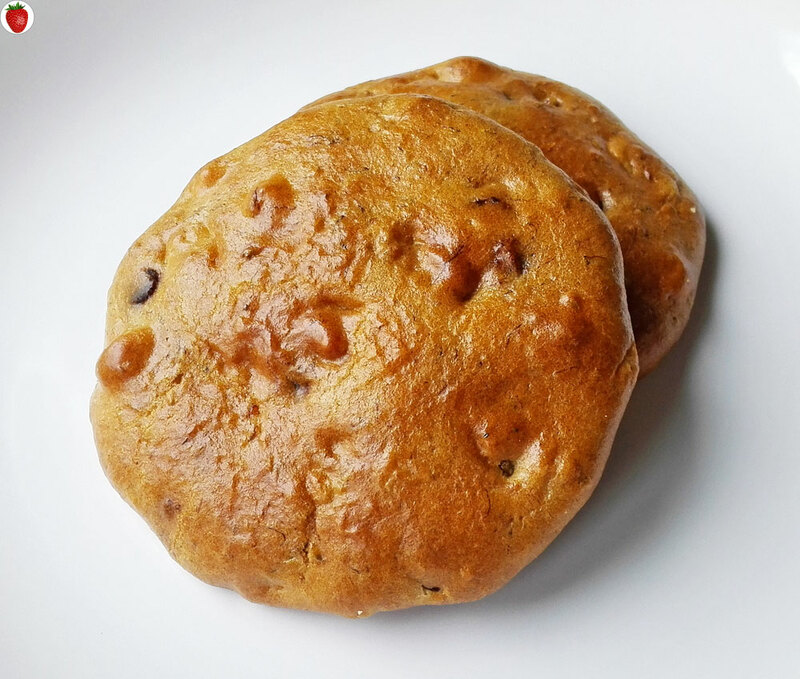 Chocolate lovers, check out my paleo banana chocolate muffins and double chocolate cookies. 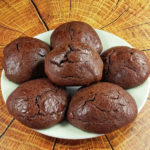 If you like the recipe, share it with your friends and if you try making these muffins, please let me know how they turned out for you! These look so delicious. Would love to add peanut butter. Do you know if they freeze well? ?